Posted by Vivian on 4 March 2009; This entry is filed under General. Dormen client Full-VideoSolutions, a corporate and education video production company, has won a prestigious ‘Stevie’ Award for the Best Motivational Video at the 2008 International Business Awards. Award winners were selected from over 1,700 entries from 30 countries. The winning video Glass Artist is one of ten commissioned by the Science Council for their secondary education project Future Morph. The programme was developed to encourage young people study maths and the sciences to a higher level. Full-VideoSolutions Director, Celia Middleton, said: “Our mentors from Dormen have given us terrific support through the start-up period. Now, thanks to the Award and a strong website, enquiries are up and business is looking good despite the crunch.” Full-VideoSolutions worked with two Dormen mentors, initially Trevor Dutton and then Joe Windsor. 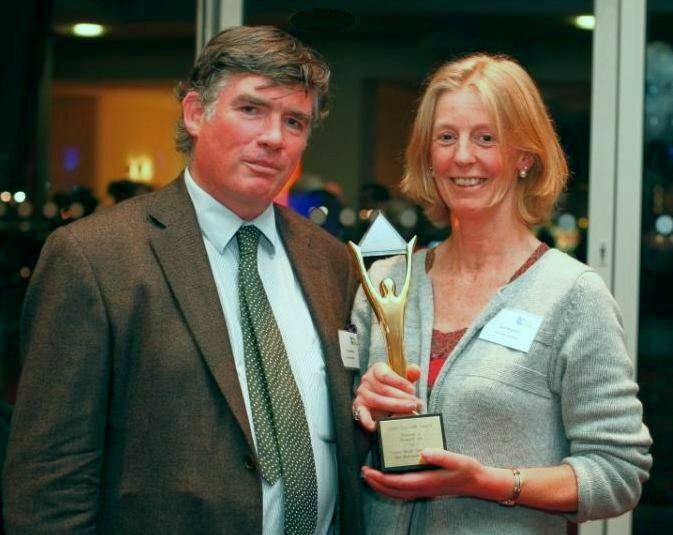 The picture below shows Full-VideoSolutions directors Hugo and Celia Middleton with their Stevie award.